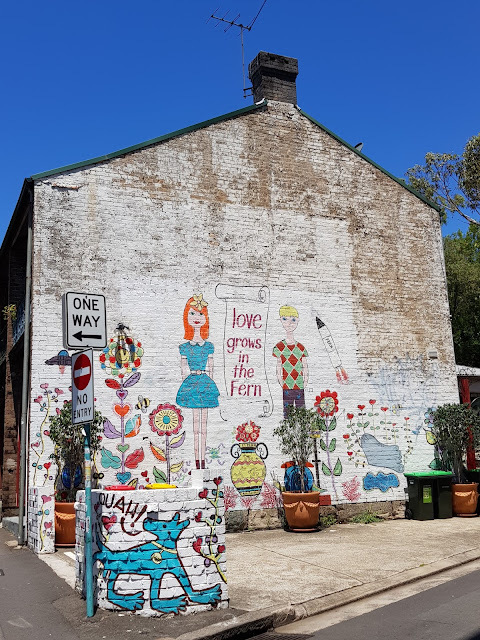 "Love grows in the 'Fern" is a mural on the side of a terrace house, located on the corner of Lawson Street and Ivy Lane in the inner city suburb of Redfern. "The Fern" is a nickname for Redfern. I like it, gives life to the side of a building. The artist made for sure a drab wall very colorful and nice to look at. ...that wall needs some help.